I'm On The List is described as a rose gold brown with a metallic finish, and that's exactly what it is. 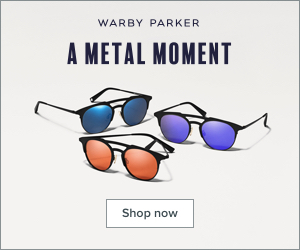 This is a true rose gold that doesn't lean too cool, or too yellow gold. The formula of this particular shade is so good that you can definitely get away with just one coat. 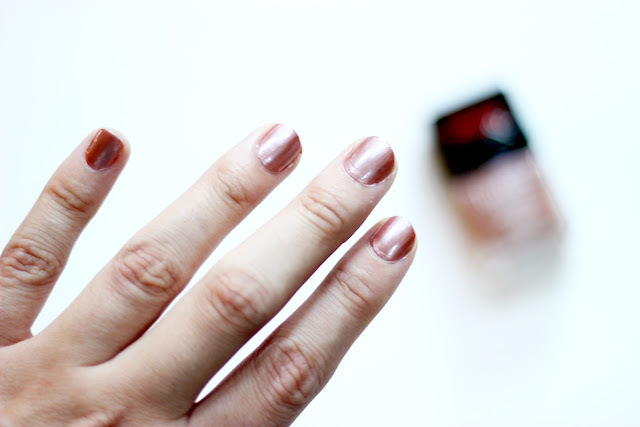 One coat rose gold nail polish? It sounds too good to be true, but it's definitely not a fantasy. 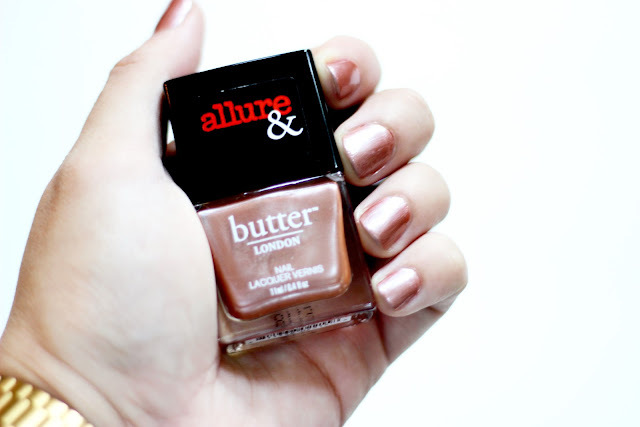 And like all other butter LONDON nail polishes, this one has very glossy formula and is formulated hydrolyzed silk and vitamins B, C, and E.
Are you a fan of rose gold nails? Let me know in the comments below. Disclaimer: butter LONDON sent me the nail polish as a sample, this is not a sponsored post. All opinions and pictures are completely my own.